The fact to know is that Jim Furyk is interested in Masters, the US Open is the next one. Furyk has been working on his scheduling because there have been few changes in his professional career. The scheduling problem on his hands will need to be taken care of. 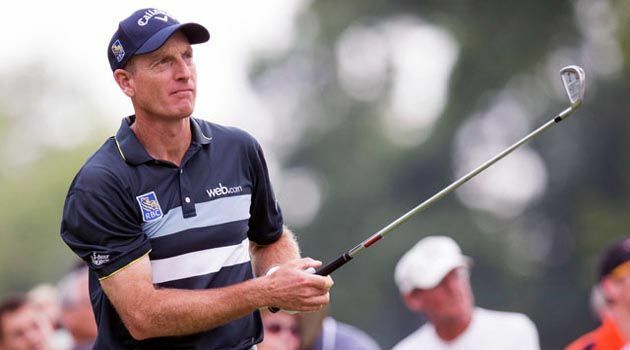 Furyk set his foot at the PGA Tour Status and has to fit himself to the upcoming events. He had such strong start in the fall, then got the T-9 finish at Honda CLassic. The 72nd-hole birdie granted Furyk with the possession of second place. Not only getting a fruitful seven-figure paycheck in his bank account, but his achievement also contributes to his sudden jump in the Official World Golf Ranking. The good news is that he is moving from the 167th to 52th in just a week. Of course, his current rank qualifies for the US Open qualifications. That means he needs to reschedule everything and deal with the sudden trip at the WGC-Dell Technologies Match Play. Then it caused Furyk to reevaluate his schedule regarding the professional events he’d like to participate in. It would take extra days or weeks to take a deep breath and figure out his next schedule. There are many different things to consider. Of course, the 52th rank opens many opportunities for him. He stated that the first would be the Masters, and then he would take on the US Open. Furyk won in 2003. But since then, it has become more competitive.